I have the back to school itch. Little Lady is starting full day Kindergarten this year and her supply list has grown quite a bit. We went back to school shopping over the weekend and I couldn’t help but ogle the notebooks and pens. I may have picked up a few new items for myself on our trip. 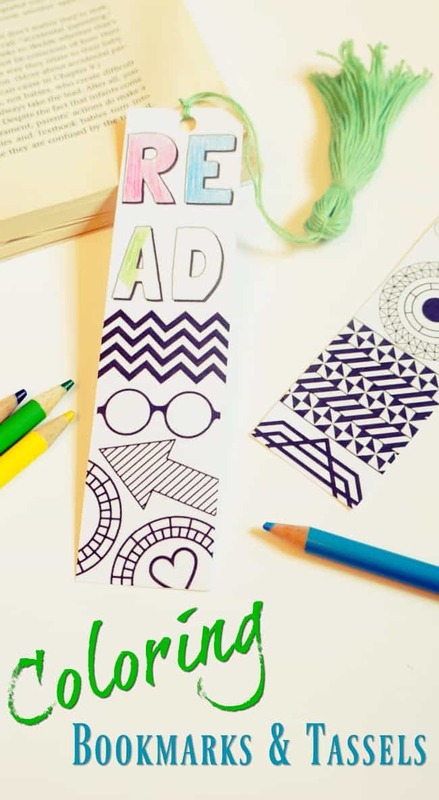 After shopping all I could think about was back to school, so I created these coloring bookmarks with fun tassels that Little Lady (and you) can print out and color. These make the perfect accessory to a fall book, or an inexpensive gift for a new teacher or friend. Print out these coloring bookmarks here. I used white cardstock for durability and punched a hole in the top of each to attach a tassel. To add the tassel use embroidery floss and follow these simple steps. Use one skein of embroidery floor and open it up so it forms a circle. 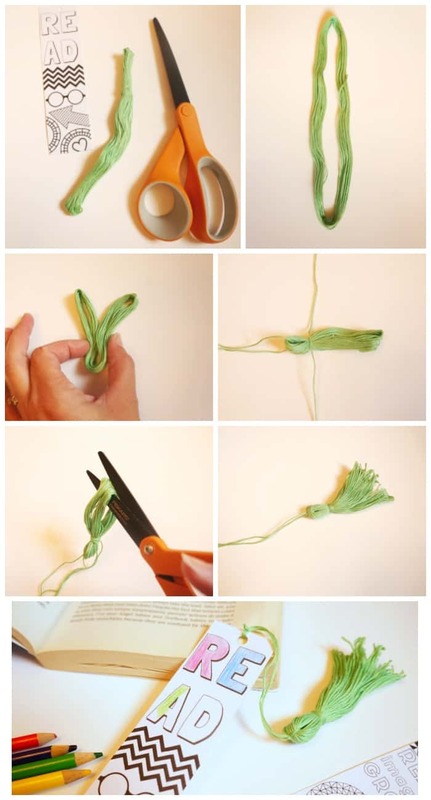 Fold that circle in half and tie a small length of floss around the bottom, then tie a small length of floss about a half inch up from the bottom of the tassel. Cut the top of the loop to make the fringe of the tassel. Wrap any leftover floss around the tassel and cut ends. Tie the floss hanging from the bottom of the tassel into a knot and loop the tassel through a hole in the bookmark. Once the tassel is attached, these can be given as a back to school gift for a teacher or special friend. Pair them with a few colored pencils for an inexpensive and thoughtful gift. 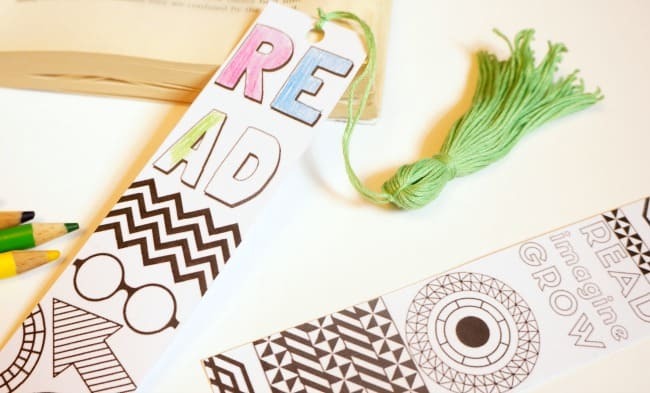 Or let your child enjoy these coloring bookmarks while diving into a new book. It’s also perfectly acceptable to color and keep these for yourself. Download and print a copy of these coloring bookmarks here. Who would you gift these coloring bookmarks too?